After having established a strong base in the wide web flexo segment in India, Flexo Wash is now aggressively eyeing market share in the narrow web flexo industry. Denmark-based Flexo Wash is one of the world’s leading providers of dedicated systems for anilox cleaning, plate washing, parts washing along with distillation unit for solvent recovery catering to both narrow as well as wide web flexo or gravure presses. 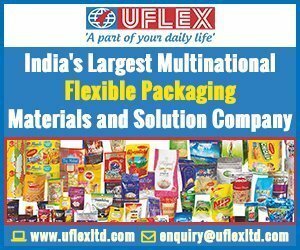 “Till now Flexo Wash did not enter the narrow web flexo segment in India very aggressively as its focus was mainly on wide web flexo where the company has notched up some major installations in recent past having over 50 installations in India. But now it is moving into the narrow web as this segment also offers a lot of opportunity. Flexo Wash is already a very strong name in the European narrow web industry,” said KV Hebbar of Scanvik Packaging during the recently concluded Labelexpo India 2018. Mumbai-based Scanvik Packaging is Flexo Wash’s exclusive agent for India and Sri Lanka. According to Hebbar, narrow web convertors now agree that they cannot afford to neglect their plates and anilox rolls. Narrow web is a cost-sensitive industry and convertors understand that taking good care of anilox rolls and printing plates, which are the core of the press, will lead to increase in efficiency and reduction in costs, and press downtime, Hebbar said. 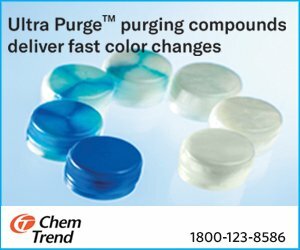 Another major benefit of Flexo Wash cleaning system is that all the chemicals used are environment friendly. “Manual cleaning will eventually be phased out as convertors will be compelled to consider the environment and the effects of the manual process. There is a lot of pressure from global brands as well,” Hebbar argued. At Labelexpo India 2018, Scanvik gave a live demonstration of an anilox cleaner and plate washer and received very encouraging response from the industry. 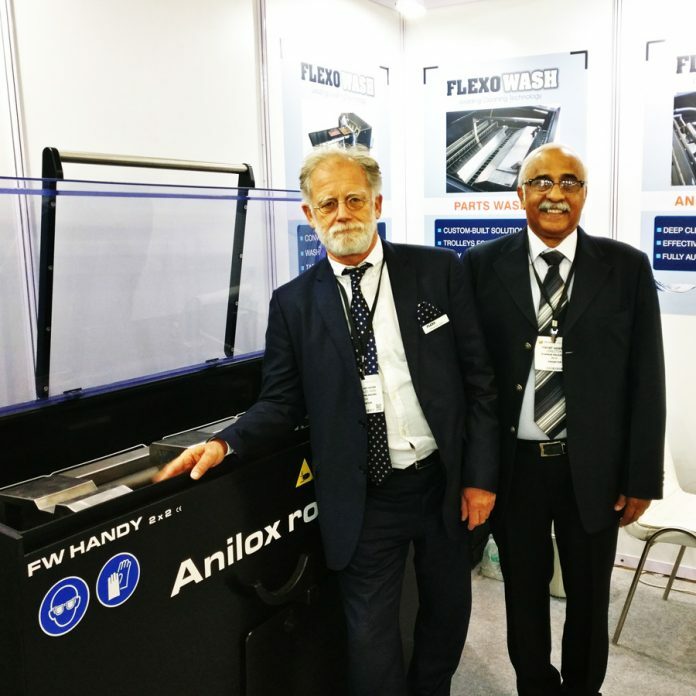 Talking of installations, Hebbar said Mumbai-based Essel Propack has recently installed an anilox cleaner that can wash six anilox rolls at a time which will save a lot of down time of their press, especially while printing special colors. 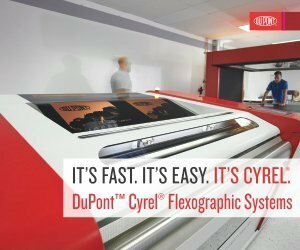 Other convertors who have opted for Flexo Wash cleaning solutions are Mudrika Labels, Citrus Packaging, Procam and Art-o-Print. “The number of narrow web flexo presses in Indian is rising; run lengths are shortening while change-overs are increasing with main focus on high print quality. This means anilox rolls, plates and parts need to be cleaned frequently. This trend should help boost the demand for solutions like Flexo Wash,” Hebbar concluded.